Completed in 2005 this facility also boasts impressive integration of various BacNet systems and Manufacturers. 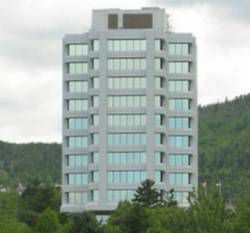 Completed in 1999 this facility has one of the first Native Bacnet control system installations in Atlantic Canada. Completed in 2002 and currently undergoing an upgrade that will double its size, this facility boasts an impressive Alerton Bacnet control system with a web based interface.